We landed at Melbourne's Tullamarine Airport well before time, after a relaxed flight on board Cathay Pacific's CX105. The cabin crew on board was extremely friendly. There happened to be one Indian stewardess who got into a conversation with me. She belongs to Marol in Mumbai and has been with Cathay Pacific for over 18 years now. When she got to know I also belonged to Mumbai and that too close to her home in Marol, I got better service, which included an express immigration card! Immigration was a breeze. No questions asked and I was good to go. And can you believe it - the reality television show "Border Security: Australia's Front Line" was being filmed here. I have been religiously following this show for the last two years on YouTube. While Australian immigration process here at Tullamarine was quite smooth, I was quite upset with the way the Australians handle visa processing for Indians. Australia has shifted from sticker visa to an e-visa system a few years back. Most nationalities, including some countries that have dubiously fostered terror, can apply for a visa online by submitting scanned documentation. However, Indians must fill in a paper application - the turnaround time is an excruciating fortnight. It seems a bit odd why Australia still has this bureaucratic process for Indians while most countries have liberalised their visa regulations for Indian nationals as short visitors. Getting through quarantine and customs is a bit of a hassle in Australia. Given that Australia is an isolated country, it has so far been "naturally" shielded from diseases such as avian flu and the mad cow disease, but it cannot take chances. Sniffer dogs were employed to screen baggage for food, animal and plant products being imported into Australia, which is quite understandable. Next on my agenda was getting a local data SIM card and converting money into Australian dollars. The telecom kiosks selling SIM cards had signages in English and Chinese(! ), probably due to the huge inflow of tourists into Australia. To top it all, all I could hear in those kiosks was either Mandarin or Cantonese. 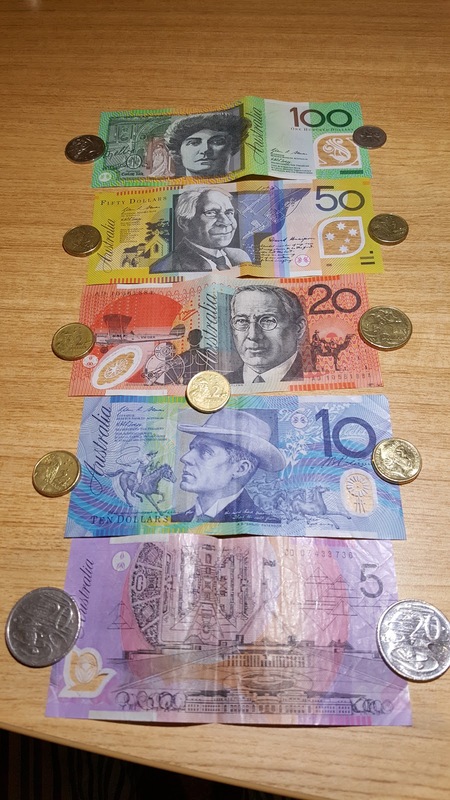 And after changing money at ANZ Bank, I was excited to see Australian banknotes - they are very colourful and are all polymer based. And there is interesting history to that. 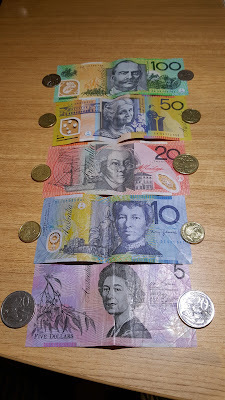 In the 1960s, forgeries of currency notes was rampant and the Reserve Bank of Australia was concerned about an increase in counterfeiting with development of colour copying technologies. Then Australia went about developing polymer banknotes, with embedded plastic fibres that would be hard to counterfeit. The first patent for this was filed in 1973. The first polymer Australian Dollar banknotes were issued in 1988, to commemorate the bicentenary of European settlement in Australia, which made them a pioneer in this kind of currency. 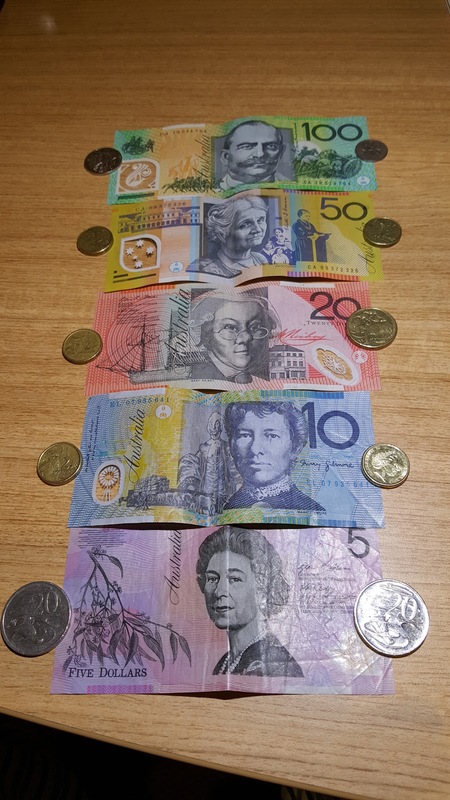 In 1992, Australia began issuing polymer notes for general circulation across all denominations. Other countries followed Australia's lead on this. 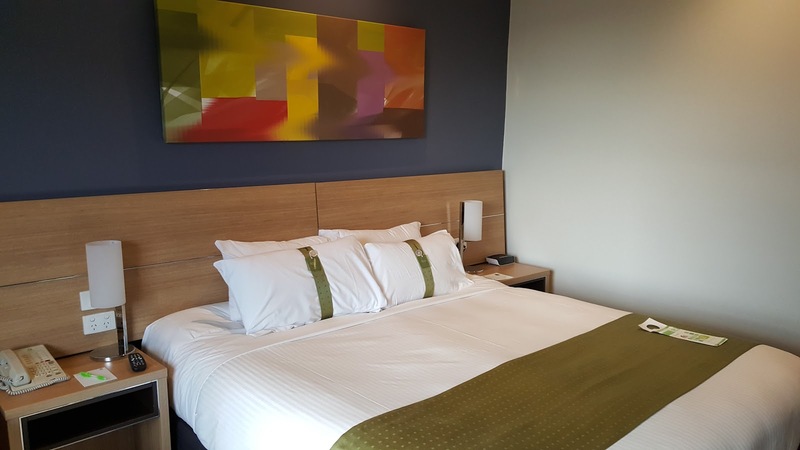 And then I headed to Melbo (that's what out-of-towners call Melbourne), where I would be staying for the next two nights. Getting to the city was super convenient. I boarded a very comfortable SkyBus coach that brought me to the Southern Cross railway station. From here, my hotel, on Flinders Lane, was a short 5-minute walk from here. The walk to the hotel was quite interesting. Office-goers were all out on the street grabbing a bite or two. It was quite a diverse crowd - people from different ethnicities, all happy people and no one with a serious look on their faces. The weather was also awesome - bright sunlight with a slight nip in the air, afterall it's August - winter in the Southern Hemisphere. No wonder Melbourne has been rated as one of the best cities in the world and I am absolutely feeling at home here!